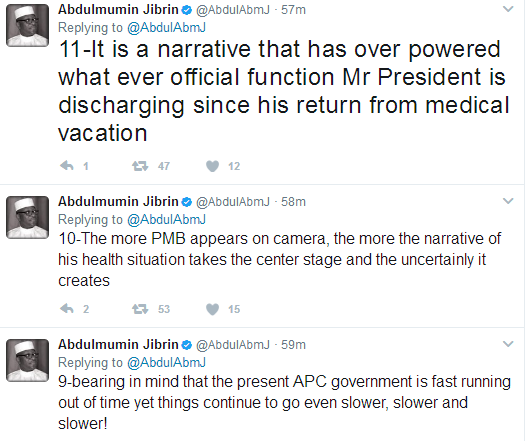 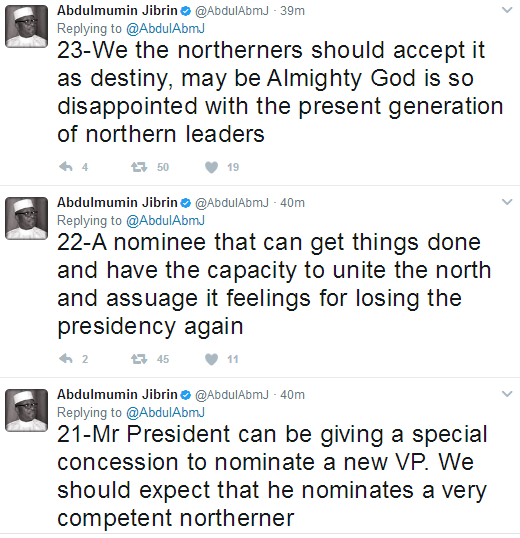 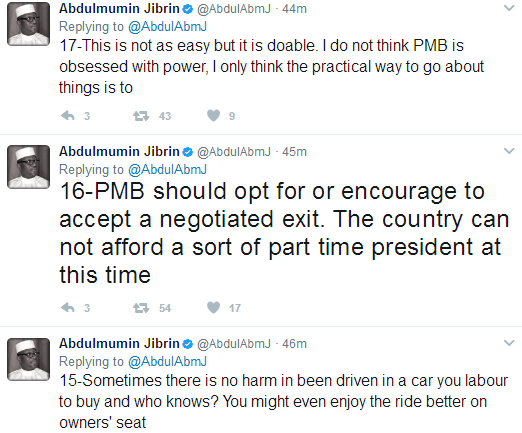 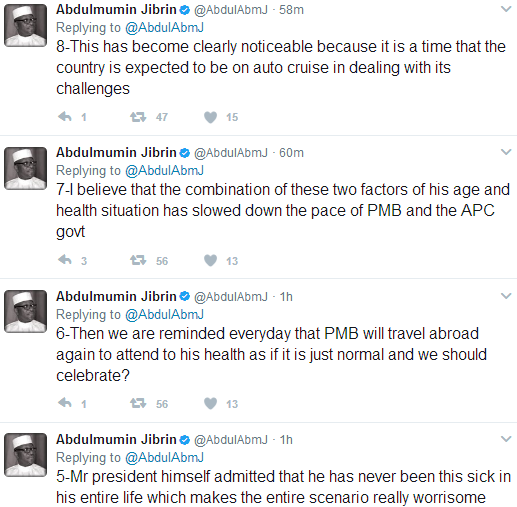 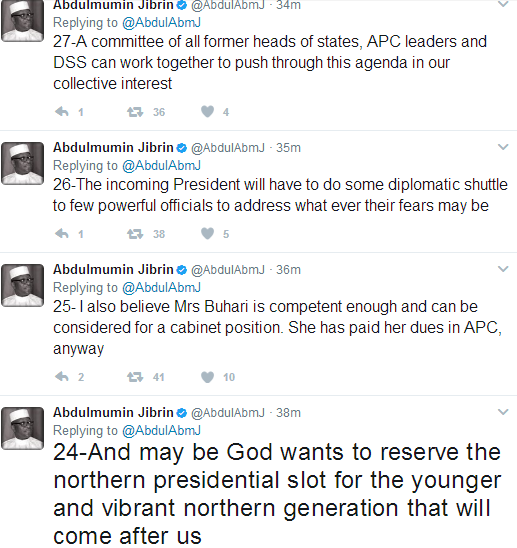 Suspended Lawmaker, Abdulmumin Jibrin took to Twitter to advise the President of the federal republic of Nigeria, President Muhammadu Buhari. 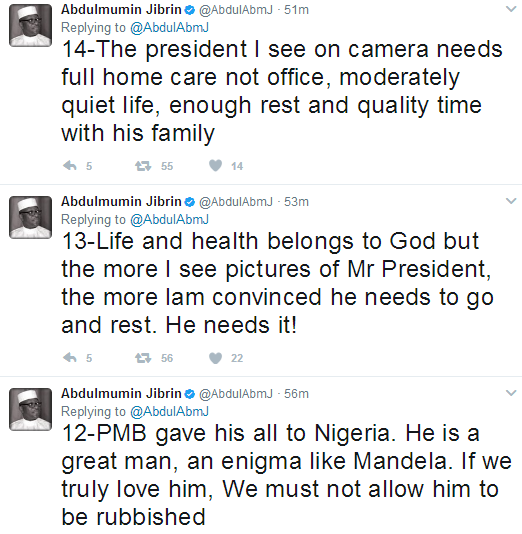 He disclosed that due to the recent pictures of President Buhari that have been released, this pictures shows a man that seriously needs home care and not someone that should be burdened with office work of a huge country like Nigeria. 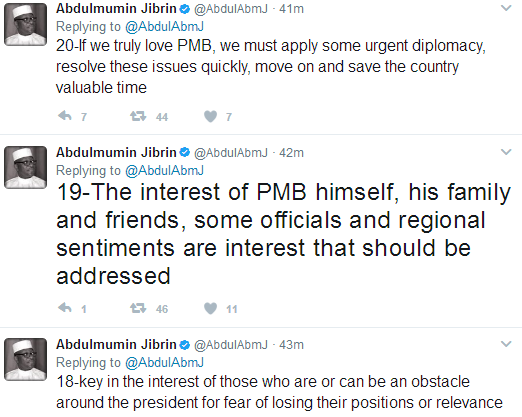 Jibrin went on to say that President Buhari should be advised to resign and then allowed to nominate someone who can be Vice President. 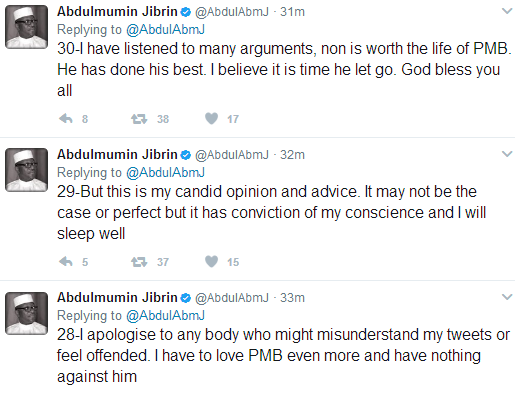 The Lawmaker went on to say that the wife of the president, Aisha Buhari should be given a position in the cabinet as she has paid her dues in APC. 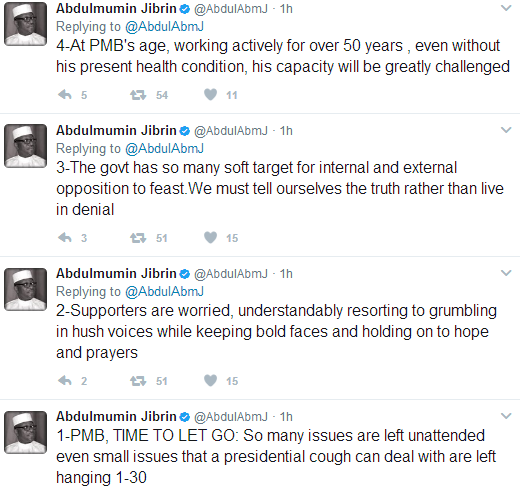 Read more of his tweets from bottom.